pint-sized mama: Notice Anything Different? Hi friends! So you might notice that Life of a Pint-Sized Mama looks a little different. 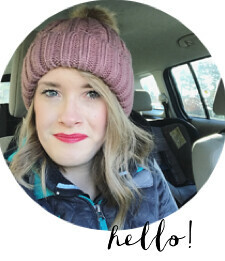 Well, I've switched from Wordpress to Blogger! I hope that you'll bear with me during the next few days, (or weeks - who am I kidding, I have a newly crawling baby) as I'm still cleaning things up a bit around here. Switching from WP to Blogger has made the format of certain posts a bit strange, so it might take me a few days to work out the kinks. (i.e. pictures being awkwardly sized and links not working, etc). And this blog design is very temporary - I cannot wait for my new blog design to be revealed! Thanks to the talented and wonderful Jessi Connolly. If you've followed me through Wordpress, feel free to continue following me via email or through my social media outlets. And since I'm new to Blogger, I don't have any GFC friends...so feel free to follow me through GFC! By "feel free", I actually mean, "please!!!" To the person who made the WP to Blogger switch possible...you know who you are...and I doubt you're reading this because you're not a 20-something mom or my grandmother - THANK YOU. You saved my sanity. And probably my marriage :) You're the man. Aww, yayyyyy Blogger! :) Welcome! Welcome to blogger! I'm happy to be following via GFC now! :) YAY! Interesting switch! But if its good for you (and your marriage) than well done lady! <3 Can't wait for the design to be revealed!